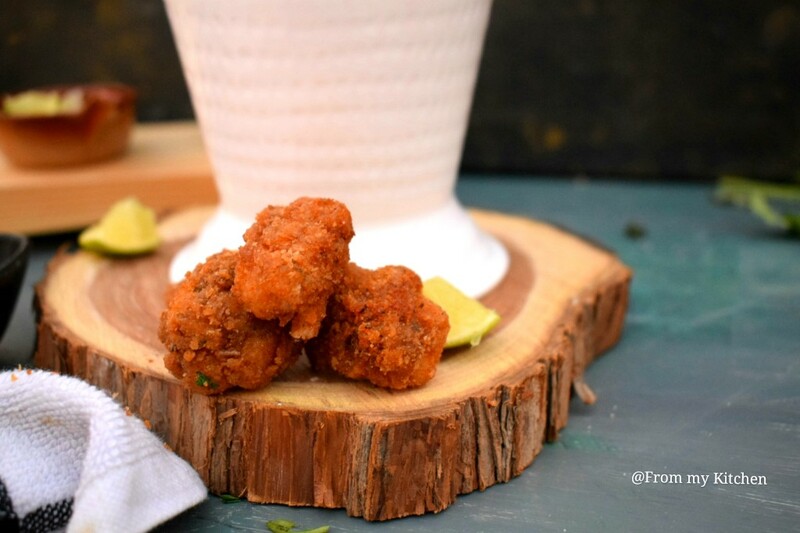 Cauliflower is one versatile veggie that everyone enjoys! 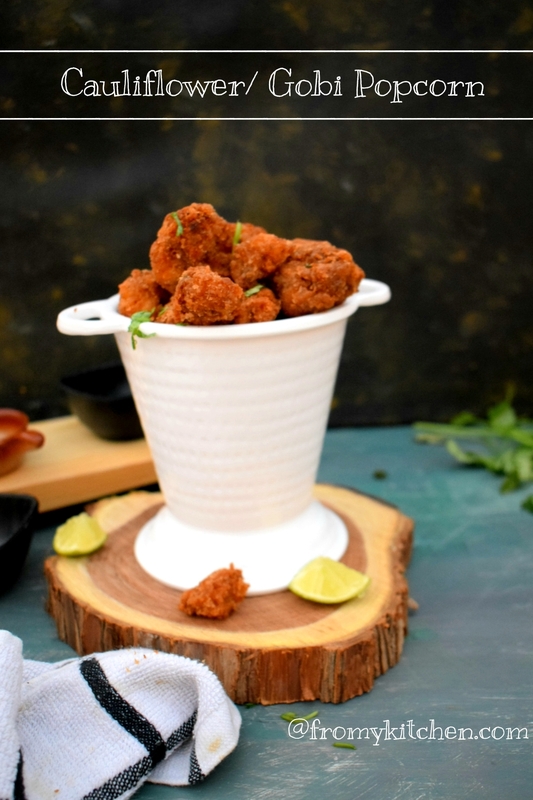 This cauliflower popcorn is so crispy from outside and soft and juicy inside that you can’t stop munching on it! 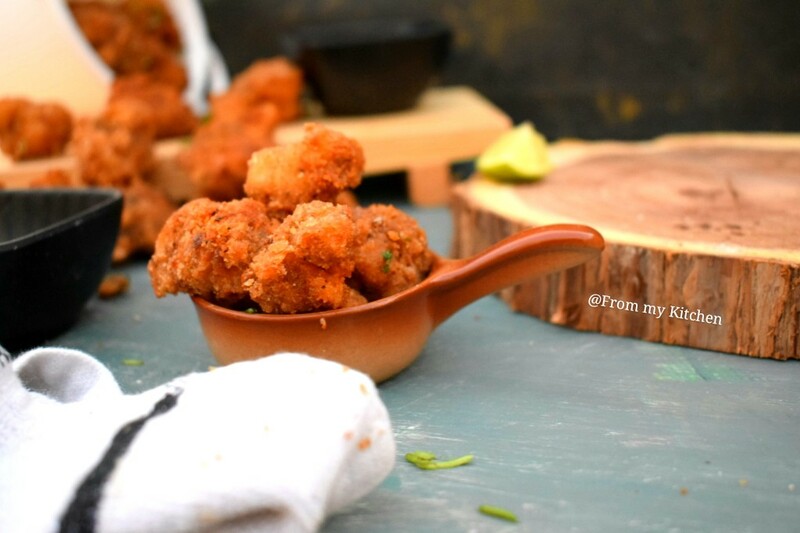 Easily replace a chicken popcorn with this for a kids party or as a party starter. Its so simple and quick fix appetizer that requires very less effort and time! So try it out! Its first coated in a powder mix and then dipped in a batter and crumb coat and fry! After frying, a spice mix is adding on top of it to make it more chatpata and that brings a whole lot of flavor in it. Don’t skip that part, you have to sprinkle that masala blend and a squeeze of lemon juice and wala you are in business.hehe! Kids and hubby loved it! Perfect companion with a cup of hot chai! 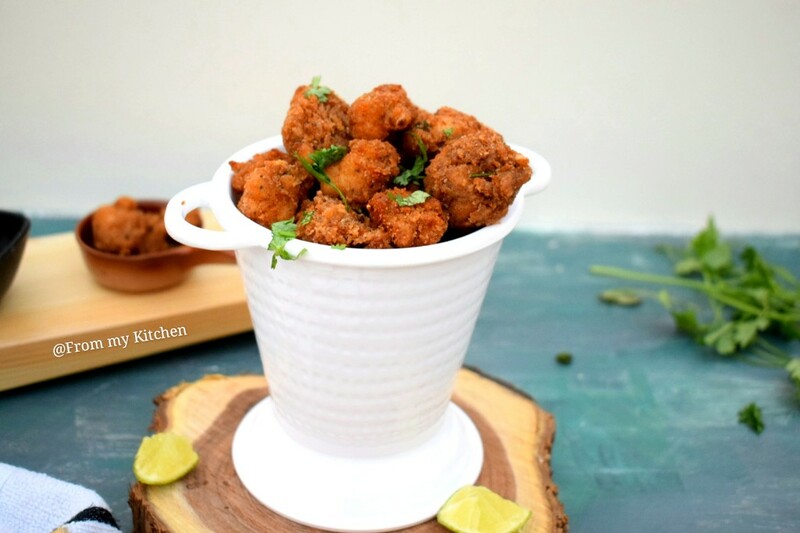 I have one more crispy cauliflower fry on the blog with lentil Cauliflower Pakoda with Chana Daal Batter this is so yummy too! 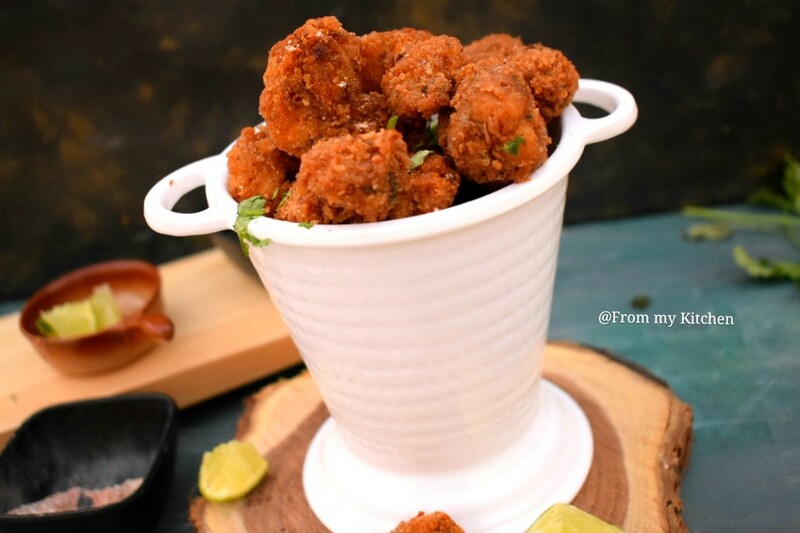 If you are a gobi lover don’t forget to check out my veg folder for some interesting gobi recipes. 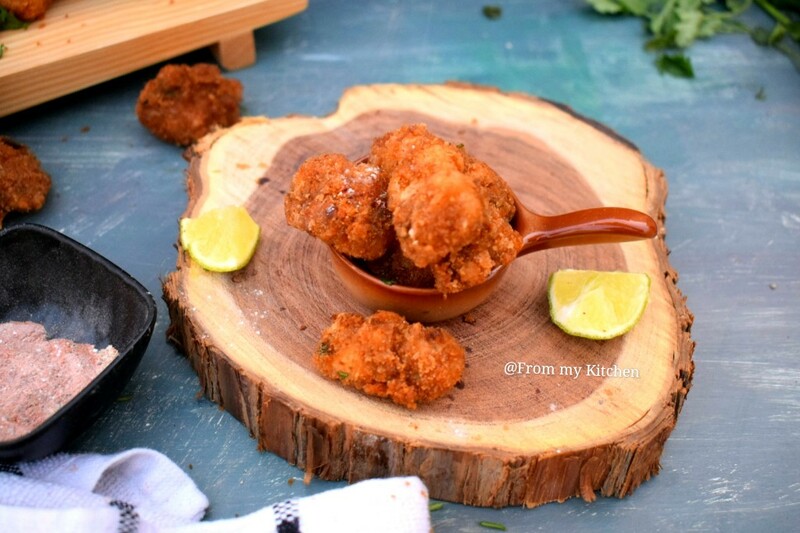 This recipe is inspired by Cooking shooking who always share perfect recipes! 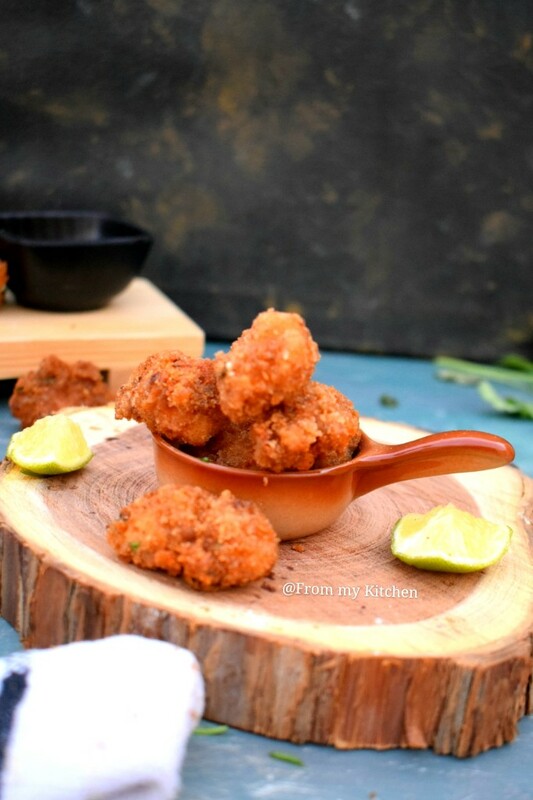 Do try it cauliflower lovers I’m sure you will love every bit of it! When its nicely coated shake off the excess mixture and place it on another plate. In same mixing bowl which we coated the cauliflower add all other ingredients listed for the batter and make a semi-thick batter. Dip the cauliflower florets in the batter and then coat it with panko breadcrumbs. Make sure the cauliflower florets are well coated. Once done set aside. Deep fry it until golden brown and crisp. Sprinkle the spice mix and toss well. Have it hot and enjooy!